Kallol Bhattacherjee: The recent criticism of West Bengal Chief Minister Mamata Banerjee and Bangladesh Prime Minister Sheikh Hasina for their handling of communal flare-ups has overlooked the fact that Islam in Bengal has a glorious syncretic tradition. This was best exemplified by the 19th-century mystic, Lalan Shah Fakir, who hailed from the Kushtia district (in Bangladesh now), an area where the Tagores had their landholdings. 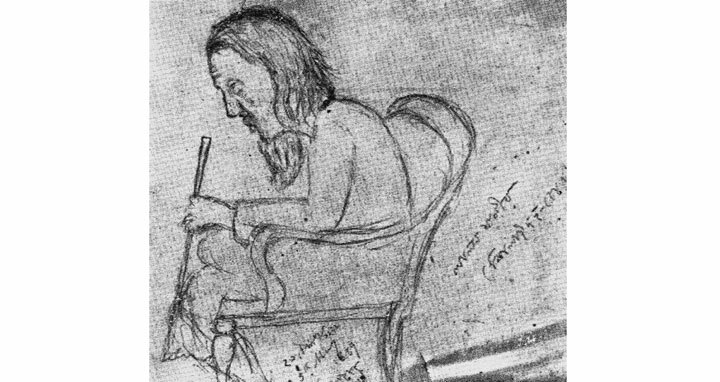 Memories of Lalan Shah Fakir, or Lalon Fakir, have been revived in recent weeks by the splendid translation of the mystic’s Bengali poems into Hindi by former Foreign Secretary Muchkund Dubey. In his Lalan Shah Fakir Ke Geet, Mr. Dubey has collected and presented 105 of his poems, making the mystic’s work more accessible to the rest of South Asia. Lalan’s date of birth is covered in the mist of time but it is chronicled that he passed away on October 17, 1890. In his lifetime, Lalan, who ran his famous institution, Lalon Akhrah, had at least 10,000 followers cutting across religious lines. His biggest strength was that he blended Islamic and Hindu religious tenets and epics freely in his search for the divine. A contemporary of Ramakrishna Paramahamsa and Swami Vivekananda, Lalan mixed the teachings Bengal’s Vaishnav hero Sri Chaitanya and Lord Krishna with the Islamic quest for Allah. Even after more than a century of Lalan’s demise, his songs continue to resonate on both sides of Bengal. Such is his influence that folk songs of the Bauls in Bangladesh continue to be called ‘Lalan Geeti’, in the same way as Rabindranath Tagore’s songs are categorised as ‘Rabindra Sangeet’. Mr. Dubey deserves appreciation for deftly handling nuanced songs like Khachaar bhitor achin pakhi kemne ashe jae and Shobe bole Lalan fakir Hindu ki jobon, among many others. Lalan’s influence on the likes of Tagore and Nazrul Islam — two of the common icons of both sides of Bengal — remains relatively unexplored. Mr. Dubey mentions that there has been enduring speculation about meetings between Tagore and Lalan in Kushtia. There have been debates among experts on whether Lalan’s songs could be considered a work of art or an offer of prayer. However, there can be no debate over the fact that his poetry can be recited and sung both to evoke the divinity and to appeal to the humanity. Lalan’s memories serve as a reminder that communal disturbances in Bengal — right from the Partition violence to the recent Basirhat riot — cannot erase the harmonious history and syncretic heritage that signify peaceful coexistence between Hindus and Muslims.